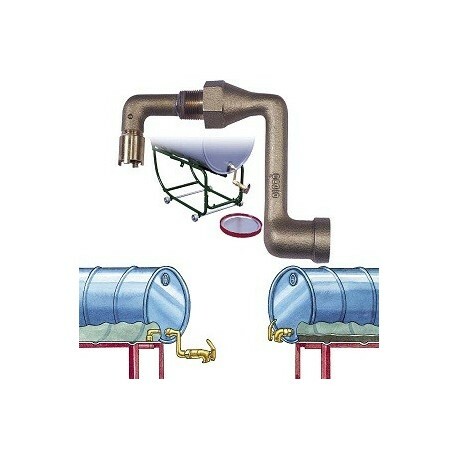 The DRUM SIPHON ADAPTER is the simple solution for nearly complete drainage of liquids out of 30- and 55-gallon horizontally stored drums, eliminating the need for dangerous drum tipping or rolling. Unique siphon action empties residual solvents from a typical two to three gallons down to the last few ounces. Made of solid cast brass, the adapter will hold-up under heavy use with compatible liquids. One end of the adapter accepts a standard .75" drum faucet and the opposite end screws into a .75" drum bung opening. An adjustable collar accommodates bungs in varying positions to maximize siphoned liquid volume. 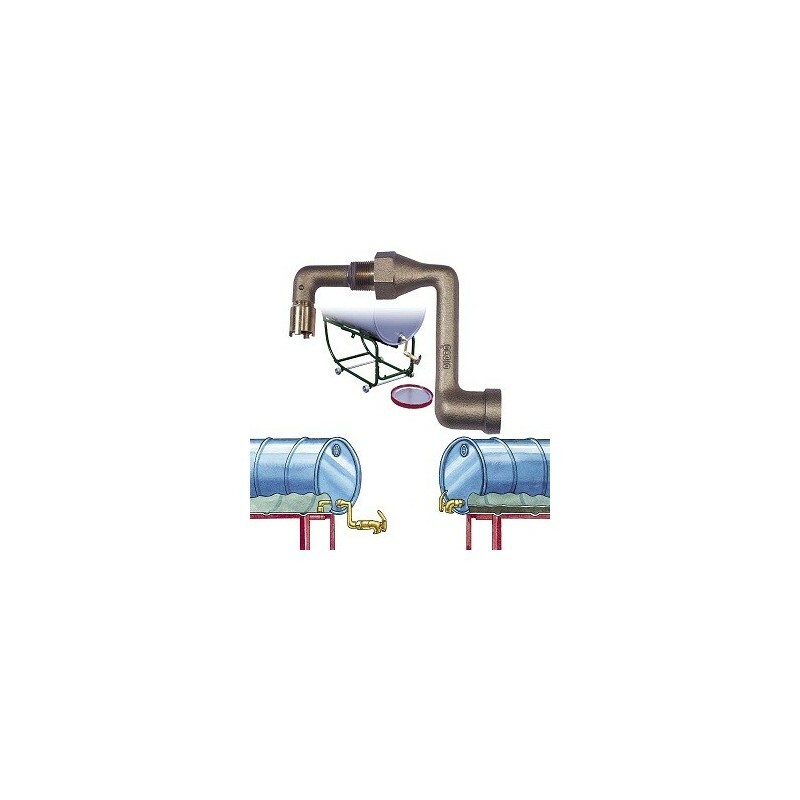 Not only are you getting the benefit of using nearly all the drum contents, you won't have to pay the high cost associated with removal of large volumes of hazardous liquids. Item J112-084. includes a brass self-closing faucet.